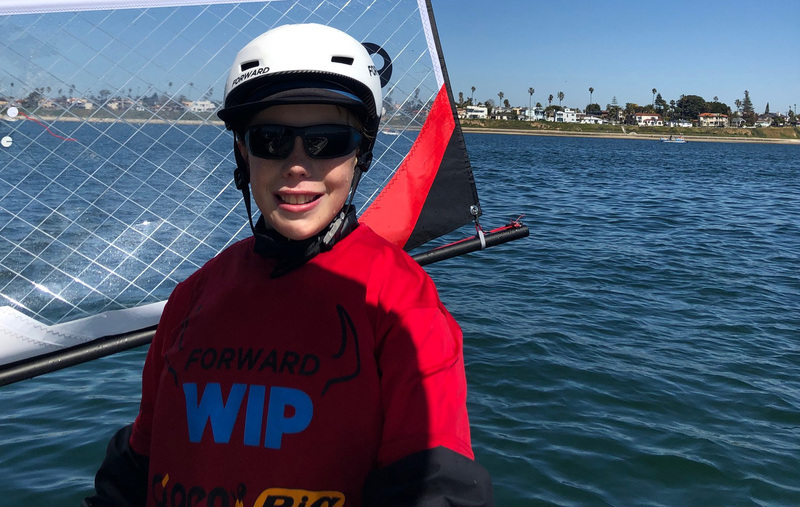 PICTURED ABOVE: Michael H. '26 competed in the O'pen Bic North American Championships and placed 5th in U13 out of almost 90 boats. 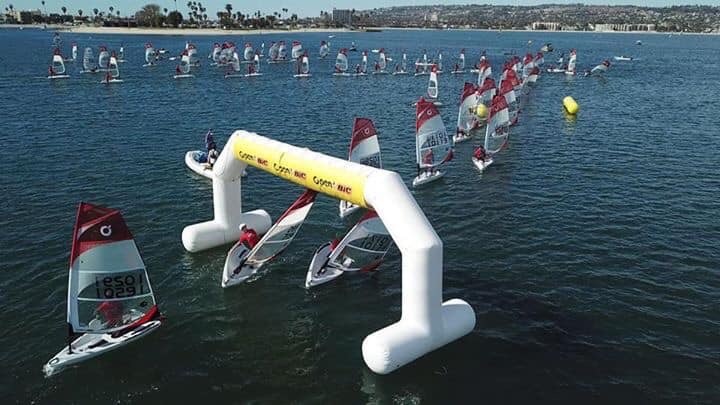 There were 11 kids representing Team Hawaii. 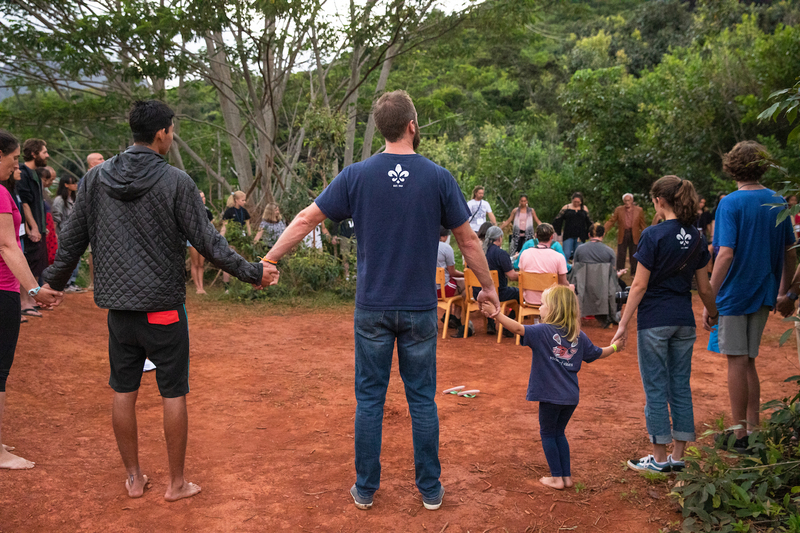 This past weekend, the LJA Wild Kids Stewardship Council hosted the fourth annual Common Grounds Summit, an opportunity for youth to connect over the one thing we all have in common: the planet. 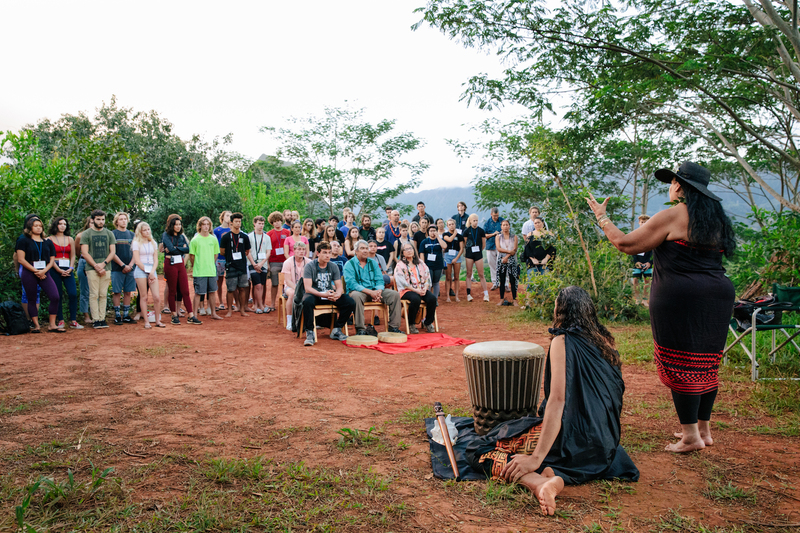 This year's focus was on indigenous wisdom, looking to indigenous cultures for answers to the environmental crises we face. Six representatives from the Blackfeet Nation in Montana attended the summit, sharing their culture and insights, and building friendships through games, stories, and service. 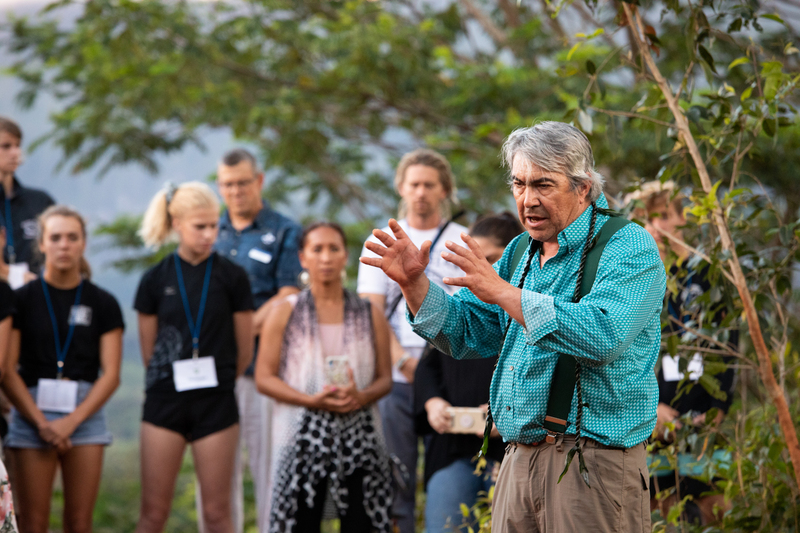 The summit opened on Friday evening with an incredible exchange between Blackfeet elders and Hawaiian kumu. They blessed the campus and the community, asking for healing and guidance for all summit participants. 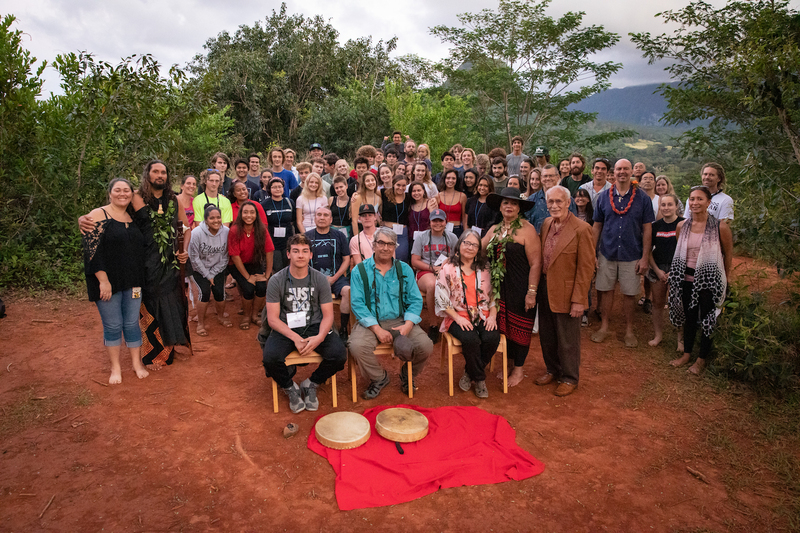 On Saturday, students woke up early to contribute to native plant restoration efforts at the Na Pohaku site in Kawainui and to clear a new taro patch at the Ho'okua'aina lo'i. Saturday afternoon students met with representatives from various non-profits to help solve pressing issues that each organization currently faces. After two nights of camping on LJA's beautiful campus, working in the mud, playing together on the field, singing around the campfire, and collaborating to solve critical issues, students finished the summit with gratitude, thankful for the relationships they built with each other and with the land. 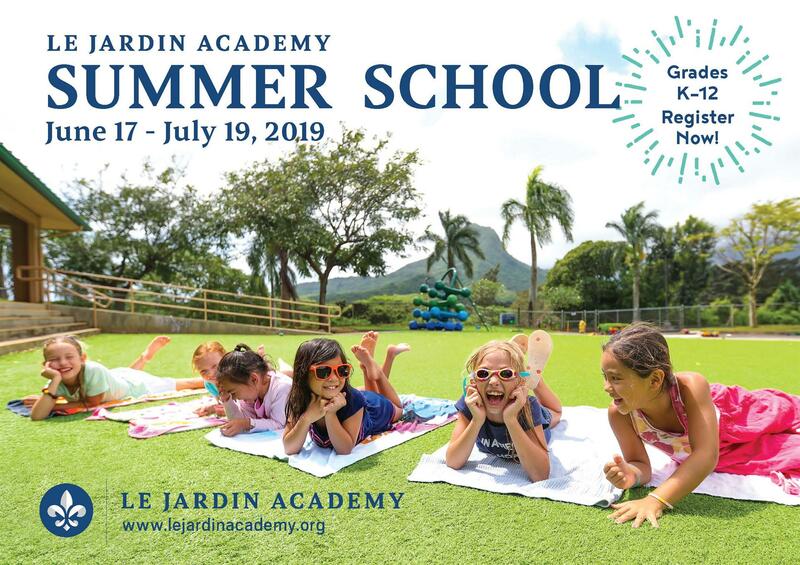 Let's have fun learning this summer at Le Jardin Academy Summer School! Take some time over Spring Break to check out some of the new classes that are being offered this year like Sewing Designs from Patterns, Legends, Myths, and Tall Tales Come to Life, Marine Biology Mania, and HS Dance, as well as some of the exciting classes that have been a staple in our Summer School Program such as Feel the Beat, The Great Reading Extravaganza, and Shaka Sports. To see all we have to offer this summer, click here. Visit the Scholastic Book Fair and support Project Grad! Also looking for volunteers, sign up here! LJA's Model United Nations (MUN) Club attended the National High School Model United Nations (NHSMUN). The Hawaii MUN League had a total of 17 students participating in 6 committees where they wrote resolutions and engaged in speeches and forum. LJA's 4 students represented the Vietnamese delegation. 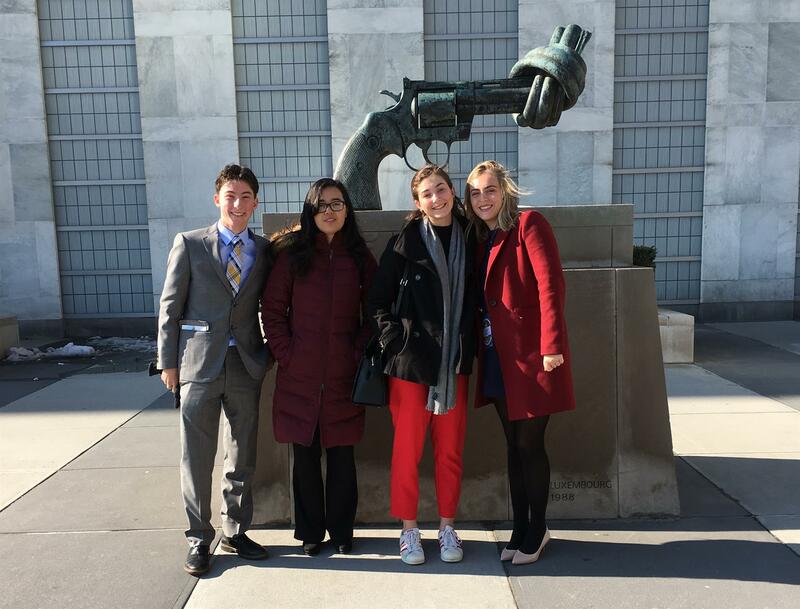 Sidney and India participated in the UNCTAD committee on trade and development while Cole and Hannah joined the UNPFII forum on indigenous issues. During their trip they toured New York City and visited many of its landmarks: Ground Zero, Wall Street, Trinity Church, Times Square, Rockefeller Center, and Central Park. LJA's MUN Club is preparing for the second annual conference on April 6. Project Grad is gearing up for their annual May Day lei sale. Online ordering is now open and the deadline is April 23. 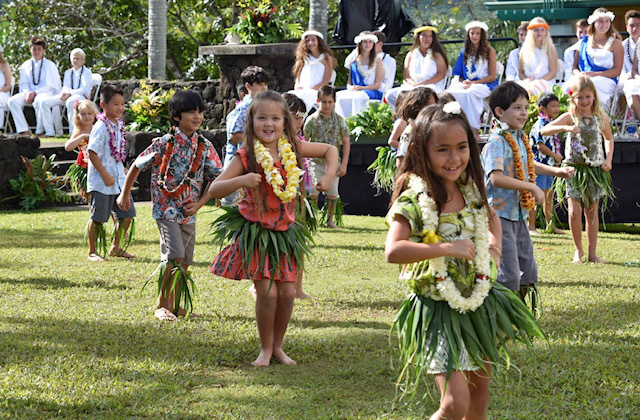 Order lei for friends, family, and faculty. Pay online and pick up on campus at the May Day program. Click here to order. 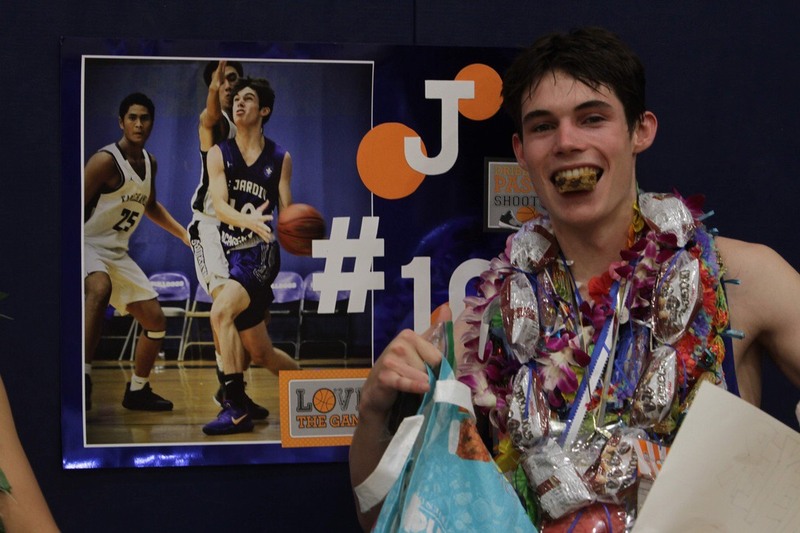 J Pahlmeyer moved to Hawaii from Napa, California and came to LJA in Grade 9. He's played varsity basketball and varsity volleyball all four years. "Athletics has definitely been some of the best and most memorable times of my high school career." J is also involved in Wild Kids Hawaii; "I've really enjoyed working on numerous projects and going on amazing trips with that group." J says his Personal Project (Grade 10) really stood out for him when considering the highlights of his high school experience. " I did an inquiry into nature photography and learned to become a better nature photographer, in particular, exposure, editing, composition, gear, and marketing photos." J hasn't yet selected a college. " I have been accepted to eight schools and still waiting to hear back from a few others. Right now, I am considering CU Boulder and the University of Florida." Next fall, J plans to major in Business Administration and minor in Computer Science. It looks like J will continue with his many interests and maybe add a few more. Once on a college campus, he's looking forward to playing basketball, volleyball, and ultimate frisbee, and joining the ski/snowboarding club, bass fishing club, fly fishing club, automotive club, and greek life. Our lost and found is overflowing with items that want to be claimed. Come by and see if any belong to you. Anything unclaimed by March 23 will be donated.